Founded in 1782, Descours & Cabaud has established a steadfast position over the years as a leader in the distribution of professional supplies to the industrial and construction sectors. 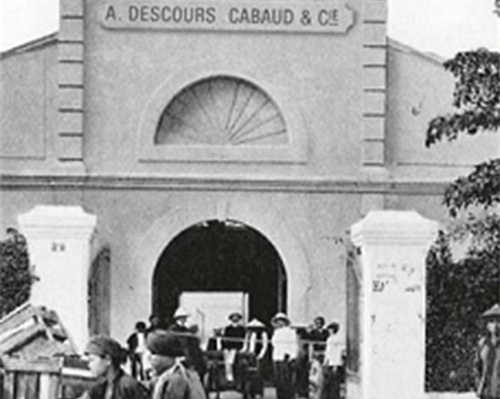 For more than two centuries, the independent, family-owned group of Descours & Cabaud has been imbued by the winning spirit of its founders, passed down from generation to generation. This entrepreneurial vision has shaped its history and continues to guide the company, which is firmly of the view that there can be no value creation without entrepreneurial freedom. Descours & Cabaud, which has 13,000 employees and 650 points of sale worldwide, generated a turnover of €3.2 billion in 2016. Its governance is ensured by a Supervisory Board, headed up by Pierre de Limairac and an Executive Board, of which Alain Morvand is the President. As the leading player in France and a major one in Europe and North America, Descours & Cabaud offers the broadest range of products and services on the market, via its two European brands, Prolians and Dexis. Prolians is the partner brand for players in the building sector. It sells the most comprehensive range of professional products on the market, backed by services that facilitate and simplify the activity of professionals. With 435 points of sale, its customers benefit from both an extensive local presence and the clout of a global partner. Dexis is the partner brand for players in the industrial sector. Dexis helps its customers grow and perform to the highest standard thanks to a transnational offering of supplies for industrial maintenance and personal protective equipment. Dexis has 175 points of sale in 10 European countries. The history of Descours & Cabaud starts in Gray, in Haute-Saône where the Dufournel family owned blast furnaces. In 1782, César Dufournel set up a metallurgical products retail outlet along the banks of the Saône river in Lyon. He had in-depth knowledge of the steel industry and trading was his in-laws’ business. The Revolution and its consequences virtually bankrupted César Dufournel’s business. His son, Charles, revived the activity at the beginning of the 19th century. André Descours and Lupicin Cabaud took over the management of the company which then opened up to the international market with the setting up of a network of correspondents in Trieste, Bucarest, Galatz, Bari, Naples, Palermo et Geneva. The company’s international development built momentum with the implantation in Argentina, then a few years later in Algeria, Vietnam, Tunisia, Cambodia and Morocco. The first professional developments dated back to the beginning of the 20th century with the distribution of hardware and tooling products. The Great War strongly disrupted activities, leading to shortages of supplies and unprecedented price increases. Thanks to its international presence, the Group crossed those difficult times. This presence was increased, especially in Argentina and in the Maghreb regions, up until 1929. The economic crisis strongly affected the turnover of Descours&Cabaud over the following five years. The Second World War had a tremendous negative impact on business in mainland France. Nevertheless, its large diversification steered Descours&Cabaud through this chaotic period. The group established itself in French West Africa and in Madagascar, relay to the forced withdrawal from Indochina then from Algeria in 1963. In the same era, Descours&Cabaud management decided to increase activities in France and to set up in Spain and in the United States. 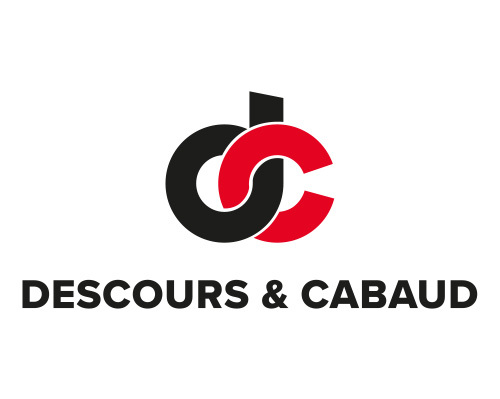 Descours & Cabaud increased its development in France and broadened its product range. The takeover of GDFI, which had 42 selling points, provided the Group with the opportunity to position itself as the French leader in industrial trading supplies. Since 2000, Descours & Cabaud has accelerated its European expansion, establishing itself in the Netherlands, the Czech Republic, Slovakia, Switzerland, Italy and Germany. In addition, the Group developed new businesses such as roofing products, home automation and water management businesses. Descours & Cabaud has reached a historic milestone in its external growth strategy by making major acquisitions internationally, particularly in Italy, the Netherlands, Germany, Austria, the United Kingdom and North America. The Group aims to build a leading European position on the industrial supplies and personal protective equipment sectors. It now boasts 650 points of sale in 14 countries.